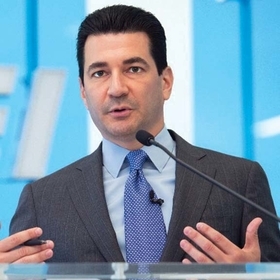 The Food and Drug Administration is evaluating ways to make sure patients don't take an inappropriate over-the-counter drug, Commissioner Scott Gottlieb said in a statement. That could include adding information to the packaging label and offering online questionnaires to help people decide if a drug is right for them. Drugmakers would have to do studies showing those strategies allow consumers to safely pick a drug and use it without medical supervision. The agency will take comments from drugmakers, medical groups and the public before issuing final rules, a process that usually takes many months. Many widely used nonprescription drugs originally were only available by prescription, requiring a doctor visit and sometimes coverage approval from insurers. Examples include many pain relievers, allergy treatment Claritin, heartburn remedy Prilosec, Imodium for diarrhea and Monistat for yeast infections. They're generally much cheaper than the higher-dose prescription versions. "We're very mindful of the time and financial cost to patients and the health care system to fill a prescription medicine — particularly one taken repeatedly for chronic conditions," Gottlieb said. While nonprescription drugs are less expensive, they generally aren't covered by health insurance. In the past, the FDA rejected some proposed switches of prescription drugs to over-the-counter status. Those include three early cholesterol drugs, with the FDA ruling those would be unsafe, partly because their use requires periodic blood testing. However, Gottlieb's statement mentions cholesterol-lowering drugs as over-the-counter candidates, along with the opioid-overdose drug Narcan, which is already sold without a prescription in some places.